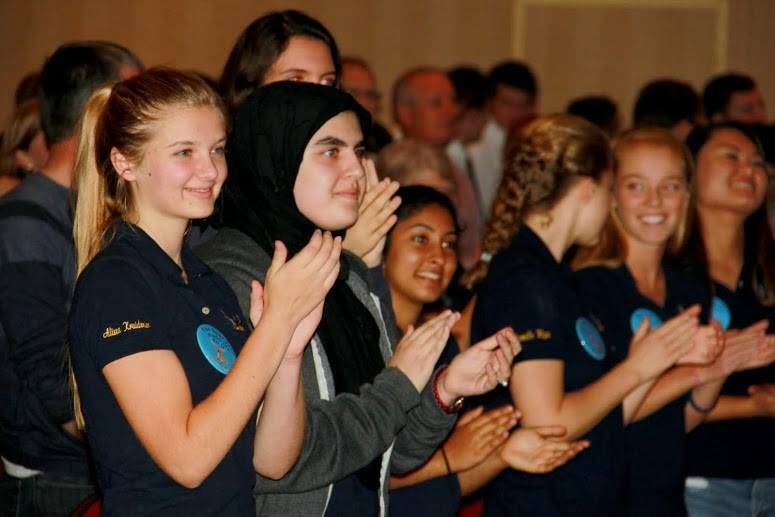 DP Mock Trial kids featured prominently in Empire Opening Ceremony Video! Check it out! 2013 Empire World Invitational Photos! 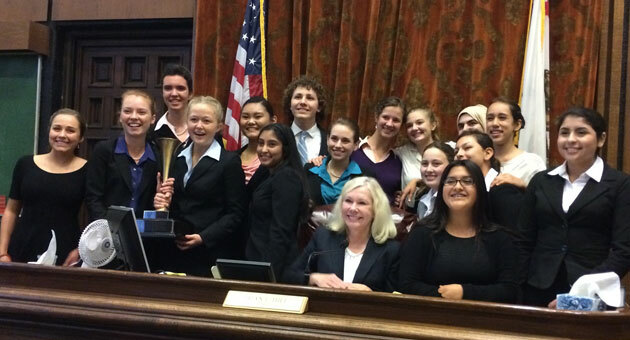 In another epic final against their archrivals, the Dos Pueblos High School Mock Trial team defended its county title by defeating San Marcos High 2-0 in the 2014 Santa Barbara County Mock Trial Championship on Saturday at the Santa Barbara County Courthouse. It was the sixth consecutive county championship for the Chargers, who advance to the California state championship tournament March 21 in San Jose. In 2011, the Chargers and Royals tied for the county title and were declared co-champions. The county championship continues an impressive run for Dos Pueblos, which also finished fourth at the Empire World Invitational tournament last October in New York City. It was standing room only as spectators packed Departments 2 and 4 to see the two perennial finalists square off for the seventh straight year. This year’s fictional case was the murder trial “People vs. Rae Concha.” In the case, a high school student named Jason Johnson collapsed and died during marching band practice with Adderall in his system. A witness came forward to say that Rae Concha is a drug dealer and sold Johnson the Adderall that morning, knowing that he had a severe heart condition. Concha was charged with two counts, possession with intent to sell, and second-degree murder for acting with implied malice and reckless disregard for human life. The case also included a pretrial argument to exclude evidence after the police officer climbed up onto the defendant’s car to get a better look at alleged evidence. The defense argued that this violated Concha’s Fourth Amendment protection against unreasonable search and seizure. For defense lead attorney Madeline Matthys, who had been a starting defense attorney for DP for four straight years, this year’s final with San Marcos was her toughest yet. The Chargers had the unique challenge of facing DP’s junior varsity squad in the morning semifinal round. In the other semifinal, San Marcos defeated Santa Barbara High School. Attorney Steve Amerikaner of Brownstein Hyatt Farber Schreck presided over the two championship trials. Bullock and the team now look forward to preparing to make a run at the state tournament. Two years ago, the Chargers advanced through the 36-team tournament to the final round, where they fell short against their rival La Reina High School of Thousand Oaks. “It is such an honor and thrill to be able to continue on to the state finals, especially when we faced such tough competition from San Marcos,” Bullock said. — Bill Woodard is assistant principal at Dos Pueblos High School and faculty adviser for its Mock Trial team. This story is republished with permission from Dos Pueblos High’s Charger Account. 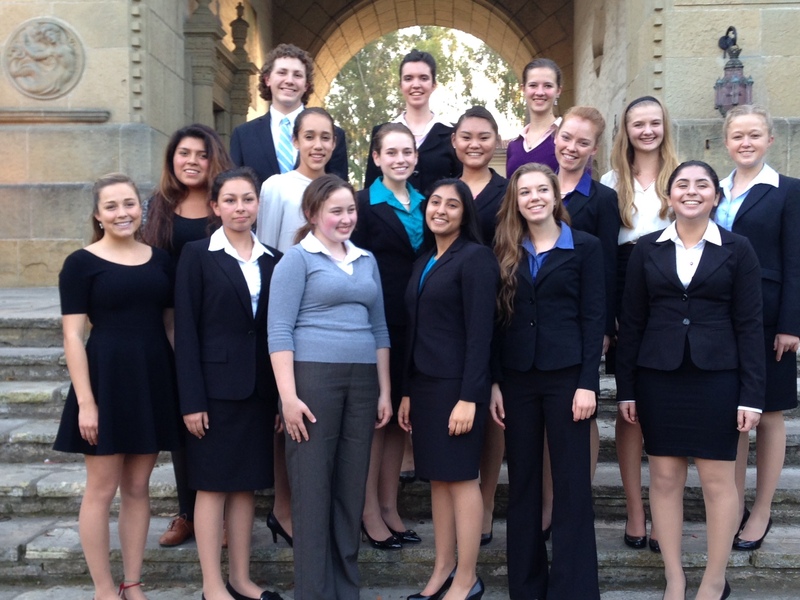 For the first time in program history, Dos Pueblos had two teams advance past the preliminary rounds of the Santa Barbara County Mock Trial tournament. And in a strange twist, both DP teams will square off against each other in the semifinal round. On Saturday, DP’s Varsity prosecution team, led by Camille Wyss and Ami Thakrar, defeated San Marcos JV, and Cabrillo HS. 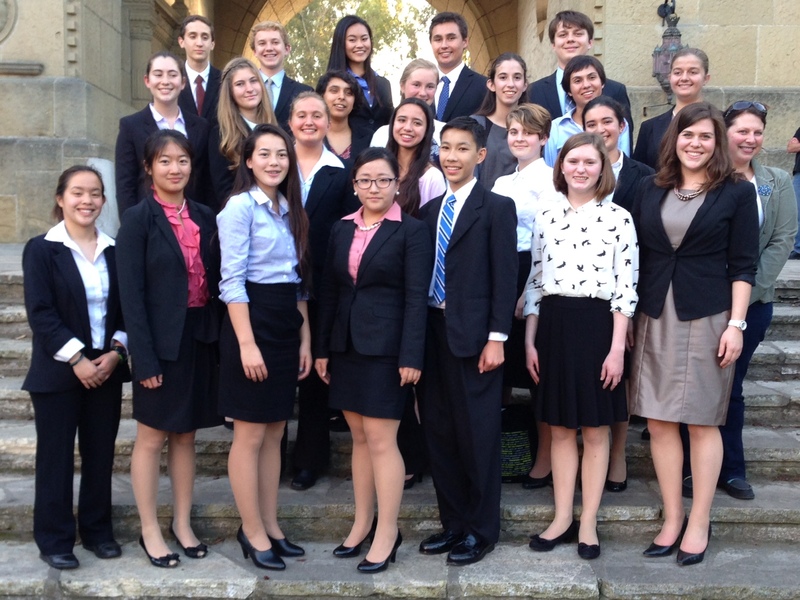 DP’s defense team, led by Madeline Matthys, Maggie Miller, and Delia Bullock, defeated Carpinteria and Laguna Blanca. DP’s JV team took on San Marcos Varsity, Pioneer Valley, Santa Barbara JV, and Santa Ynez. There second place finish in their bracket advanced them to next Saturday’s semifinal, where they will have to take on their own varsity team. 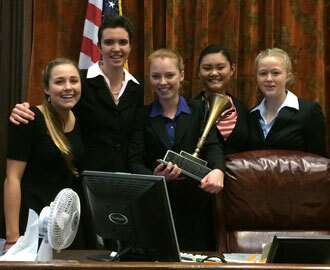 DP’s Delia Bullock was named outstanding pretrial defense attorney, Madeline Matthys was named outstanding defense attorney, Bela Lafferty was named outstanding witness for her portrayal of Rae Concha, and Jenny Jang was named outstanding witness for her portrayal of Dr. Rikki Sanchez. DP Mock Trial had a great weekend in NY at the prestigious Empire Mock Trial World Invitational, earning 4th place in the 40-team tournament–coming up just a 1/2 of a single ballot from the championship round. On Saturday, DP defeated the state champion from Minnesota in the first round (3-0), and defeated the state champion from New Hampshire in the second round 3-0. Sunday morning DP had one of its best performances of the tournament winning one scorer’s ballot by 18 and another by 12 (which in mock trial are large margins). The third scorer gave the win to the other team by 1 single point which meant that even though we won the trial 2-1, we failed to capture the third ballot. That proved critical, because though DP advanced to the semifinal round vs Ohio, in that trial the Chargers ended up with a tie score on two ballots, and a loss on the other. Still, DP finished 4th against some of the best competition in the nation/world. 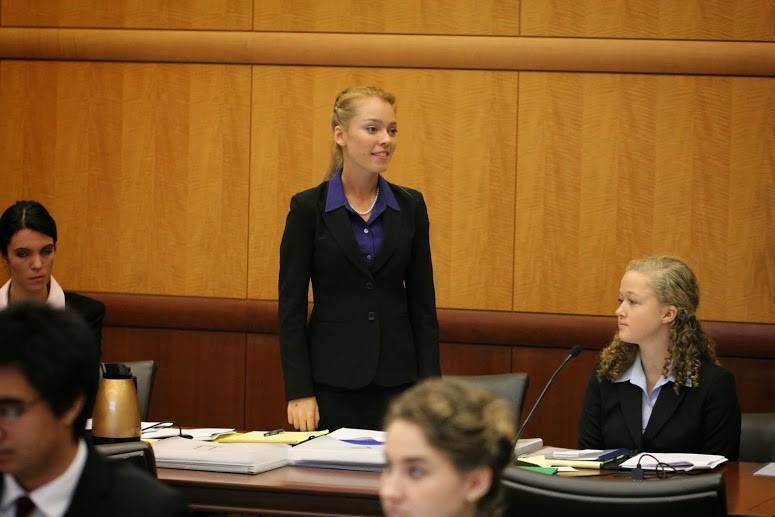 For the second year in a row, Madeline Matthys was named one of the tournament’s best attorneys and Camille Wyss won best witness for her portrayal of the police officer. DP had the opportunity to compete in the beautiful Federal Courthouse in NY where they hold some of country’s biggest federal trials (terrorism, mafia, etc.). Gorgeous building, gorgeous courtrooms.